There are very few people nowadays that I think could pull of the "Elizabethan Ruff" neck ruffles. This played out style was popular with the people in the olden times for those debutants that didn't really see a need to see their feet. But I think we have a new school winner – enter Creative Director for the Martin agency Andy "Whiteboard Master" Azula. 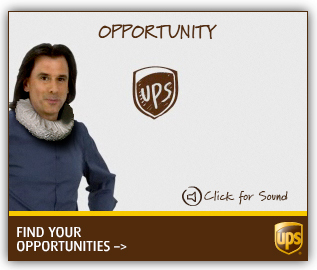 This poor guy pitched the work so well for UPS that he now plays the role on television commercials globally. Kudos! Posted on October 19, 2009 by Justice Mitchell and filed under Advertising, Fashion Cents, LOL and tagged Andy Azula Creative Elizabethan Ruff Martin Agency UPS Whiteboard.